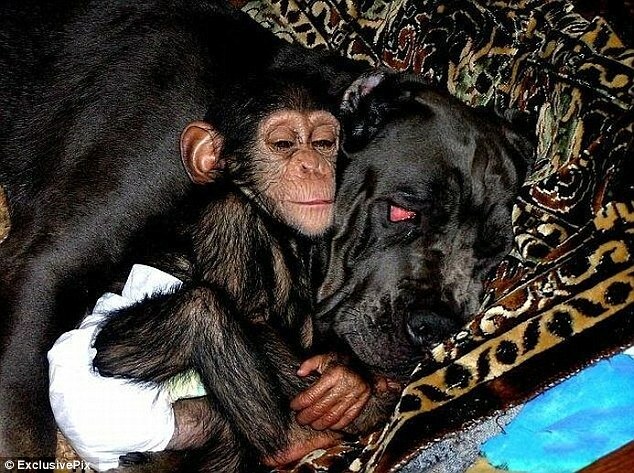 As we start the Labour Day weekend here in New Zealand, I thought I’d share these photos of a Mastiff who is helping to raise a chimpanzee in Russia. 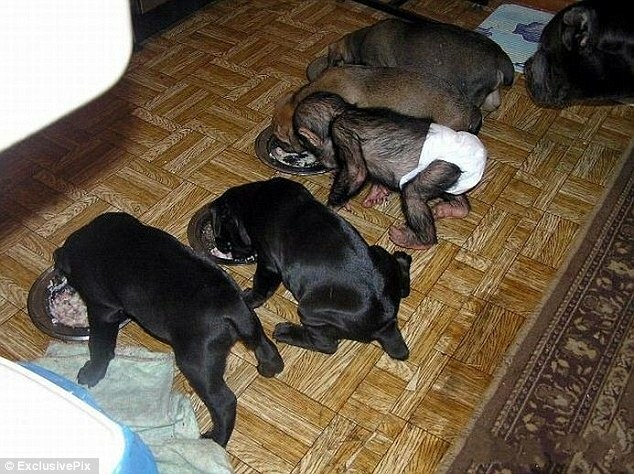 The chimp didn’t bond with its mother and so a zookeeper took it home because her Mastiff had just given birth to pups. 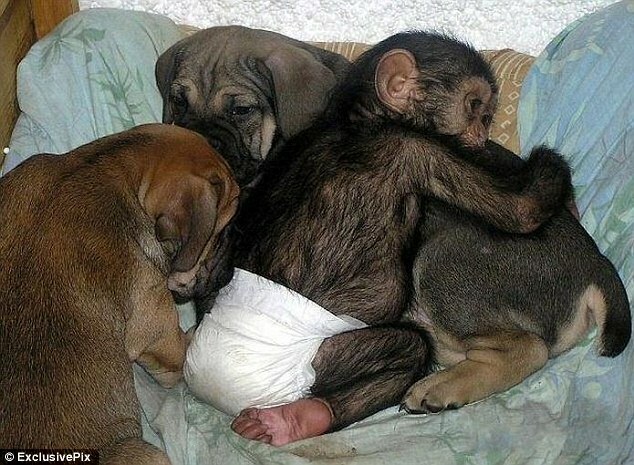 As you can see from the photos, the chimp settled right in and mimics the puppies’ behaviour. 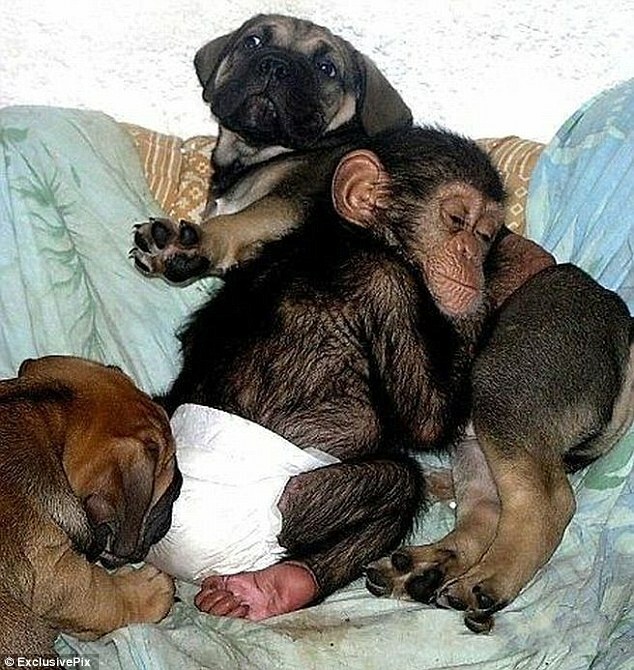 Enjoy your weekend whether it’s a long one or not! 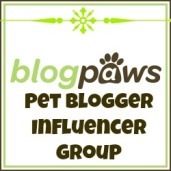 This entry was posted in Dogs and tagged animals, chimp, chimpanzee, inter species adoption, labour day weekend, mastiff, science, zoo. Bookmark the permalink.